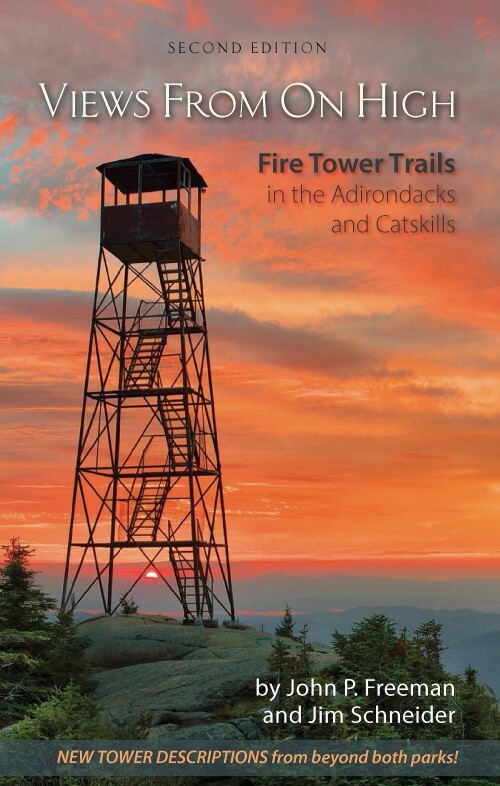 Western Trails describes hiking opportunities defined by the Adirondack Park boundary to the north, west, and south and by the villages of Paul Smiths, Tupper Lake, and Long Lake to the east– arguably some of the wildest lands in the eastern United States. 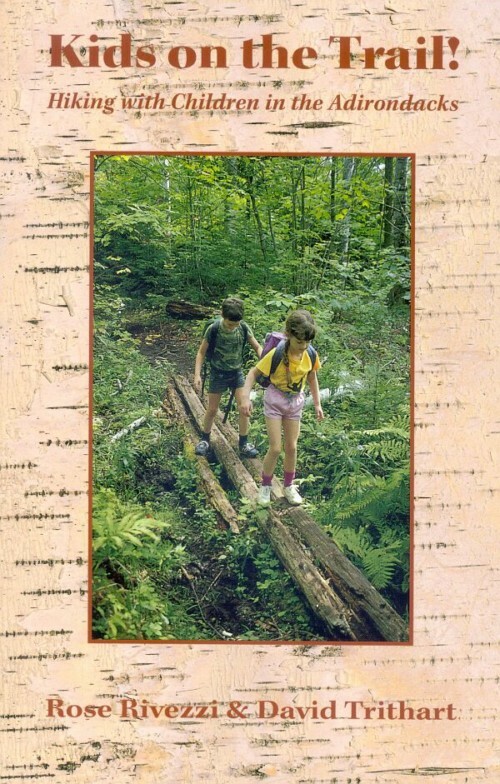 Seven Wilderness Areas, thirteen Wild Forest Areas, the extensive St. Regis Canoe Area, one Primitive Area, and two state forests fall within this guide’s purview, as does the Cranberry Lake 50, a 50-mile hiker’s challenge. 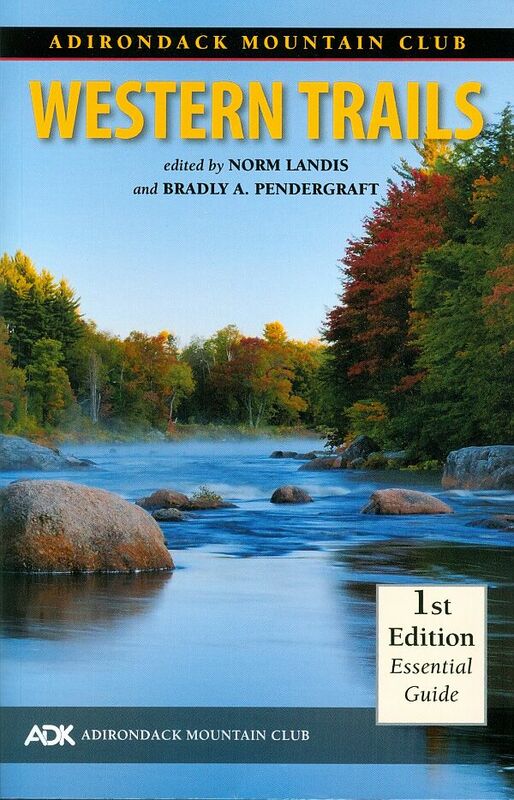 Western Trails is volume 4 in ADK’s Forest Preserve Series of guidebooks covering the Adirondacks and Catskills. 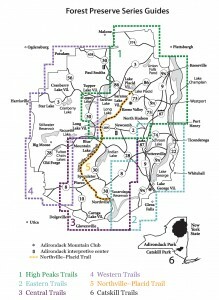 Volume 1 is High Peaks Trails, volume 2 is Eastern Trails, volume 3 Central Trails, volume 5 Northville-Placid Trail and volume 6 Catskill Trails. *National Geographic has begun work on new editions of Trails Illustrated Maps 745 and 746, which they hope to release in early 2019. Because the trail numbers of the current maps do not match those in the new Western Trails guide, the following conversion list is intended to supply the information necessary to use the new guide and existing maps together.